I am up to 900 milligrams of magnesium and still have some pain. Is this normal? My natural pharmacist makes the magnesium and it is highly absorbable with little gastro side affects. He told me to take all 900 before bed. I split it up over 2 doses. Is this best? Or should I do 3 like you said. I am confused because he disagreed. I am following your suggestions and taking most of your recommendations along with some Ligament Restore from the pharmacist. I would really like to overcome this as I am only 34 with 3 small children. It has only been 3 weeks since I started the levaquin. Maybe that helps. 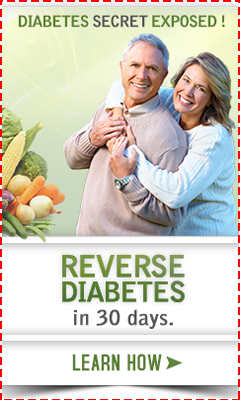 I already eat healthy and have done gluten free before for several months with no results. I have also suffered for 11 years with right upper quadrant tummy pain which many believe to be my gall bladder, but it is inconclusive. I have run many test with my chiropractor including one which revealed I had H pylori. We treated that and tested again and it was gone. The pain remains. It comes and goes, but the levaquin has set it off. I already do probiotics and HCL and digestive enzymes specifically for my liver and gallbladder. I am going to try Heal and Soothe too. I wish that I could tell you that just getting up to 900 mg of magnesium would make your pain vanish. It may in some cases, but remember this is DAMAGE to your tendons and it's going to take a long time to heal. If the 900 mg of magnesium is working for you just at bedtime, then that is fine. But if it's not, I like to break it up into at least twice a day and even up to 5 or 6 times a day for those who need it. You can still take more magnesium, just watch for any signs of taking too much. Essentially if you feel bad at all, then stop for a day or two and see if that is the problem. But 900 mg simply may not be enough for you. Dr. Carolyn Dean, author of The Magnesium Miracle personally takes the equivalent of 1800 mg per day in 3 divided doses and she notices it if she misses a dose. So, while people need to be cautious about taking higher doses than 900 mg, many people may need more than that for extended periods of time. About your stomach pain, that's great that you got tested for H pylori and would have been my first thought too. Another thought that I had was to get tested for other parasites and specifically one called Entamoeba Histolytica. It's a very nasty parasite that can cause a lot of problems and when it is found, it likes to live in the liver. It's difficult to find and you need to use a specialized laboratory that does 'alternative' testing in order to find it in a stool sample in most cases. You can see the Intestinal Pathogen Test that I have that would test for it. But it can also be found on a blood antibody test too and your doctor COULD order it if he wanted to, but it's unlikely that he would. But it's possible that your chiropractor might order the stool test and/ or the blood test for you. If not, I think that it would be worthwhile to get the stool test that I have since your stomach pain is not going away. PS. Don't be too confused when health practitioners disagree. There is much difference of opinion and different knowledge and differences in how things are applied by different people- not to mention each client is entirely unique with individual body chemistry. You just have to listen to people that you trust, do some research and make the best decision for yourself. But it sounds like you have an excellent chiropractor to be recommending nutrition, gluten free diet, magnesium and H pylori testing. Hope this helped. I looked back at my H pylori test and that parasite was not detected on either test. Thanks for the heads up on that. I feel so frustrated that we can not figure this out. Do you think the Levaquin could have upset my liver/gall bladder, too? My chiropractor also suggested a test for lyme disease. What are your thoughts on that? I will stay with the 900 mg of Magnesium for now as it has only been one day. I am probably being impatient. I am also using the gel which does work for a time, and I have been taking Epsom Salt baths, too. I am not too confused by the differing opinions, but I want to make the right decisions. My chiropractor said take the milk thistle and the Lipoic acid, but the pharmacist said just the milk thistle and the 25 mg of Lipoic Acid in the multi vitamin would be good. So I'll see after a month! Thanks! Good, I'm glad that you were tested for Entamoeba Histolytica, I like your chiropractor even more. ONE DAY on the magnesium!! Yes, you need to be more patient. Think in terms of MONTHS to get better, not hours at this point. Not to be pessimistic, you absolutely COULD get better in a few days, but just don't 'expect' it and then if it happens you'll be pleasantly surprised! Just so you know, it sounds like your pharmacist is being VERY conservative. Starting out with the lipoic acid at 25 mg is a good idea because it can make you a little jittery at higher doses, but Lipoic Acid has been given safely in doses up to 400 mg for long periods of time. And for cases of Peripheral Neuropathy (a loss of nerve sensation in which lipoic acid has been studied fairly extensively) only the higher dosages showed improvement, so there IS something more beneficial in higher dosages of lipoic acid that the lower doses don't have. It IS expensive, though, and really the magnesium should be your priority anyway. Your pharmacist may not understand the seriousness of Levaquin Tendonitis or how it effects the body either, so he may be 'generalizing'. So my question is, am I being aggressive enough? I absolutely want to treat it early! I am taking 1150mg of Magnesium which I decided to spread out over 3 doses. I am doing the transdermal gel several times a day. I am taking 2000 vit D, 100mcg Selenium (should I up this to 300mcg), 100mg vit E (which I should probably up to 400mg) and 860mg EPA and 580mg DHA. Is this good? Or do I need to add the CoQ10 and Lipoic Acid? Or when should I add those? I know they are expensive, but I would rather nip this in the bud now. I also do not want to spend more than necessary. I am also taking the ligament restore which has collagen and other nutrients and the milk thistle because that seemed easy, good, and inexpensive. My pain is more annoying than debilitating. Thanks for your continuing advice! 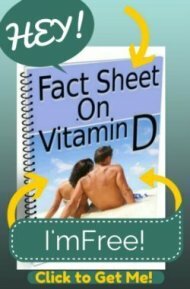 * 2000 IU's of vitamin D is less than 1/2 the normal maintenance dose for the average adult. If you have not had a level, you might be quite shocked to see how low it is and you could potentially need up to 5 times that amount for several months!! So, I encourage you to get a level. * Double or even triple the amount of Omega 3 fatty acids that you are taking. One gram is really a minimal dose for healthy adults. * It sounds like you are on a good amount of magnesium. BUT pay close attention to your symptoms and take more if you think that you need it and less if you begin to feel worse in any way. It might take a month or two of high dose magnesium to saturate your tissues, so don't be surprised if you need a LOT at first and need less as time goes on.